The Shaka Shack - home of authentic Hawaiian shave ice. Fi & Pete decided to start The Shaka Shack after a wonderful holiday in Hawaii in 2011. 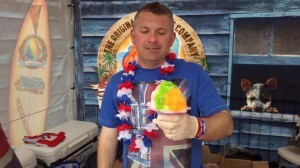 “After watching our two children, Joe & Harry, enjoying Hawaiian shave ice we decided to try them for ourselves – that was it, we were hooked! We enjoyed them every day for the rest of our holiday but, when it came to and end, we couldn’t imagine never tasting one again! 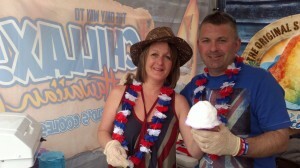 On our return to England we decided to set up a small business to bring shave ice to the North West of England. 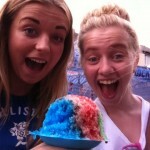 Shave Ice is not a ‘Slushi’ or a ‘Slush Puppy’, or anything similar. Instead it is a cool treat made of finely shaved ice and a myriad of available flavours. “Cubed ice is shaven to the consistency of snow by a specialised ice shaver, the delicate “Shave Ice” is then collected in a container and flavoured with colourful Shave Ice syrups. The shaka sign, commonly known as “hang loose”, is a greeting gesture, often associated with Hawaii and surfer culture. It consists of extending the thumb and smallest finger while holding the three middle fingers curled, and raising the hand in salutation while presenting the back – the hand may be rotated back and forth for emphasis. Hawaiian locals use the shaka to convey what they call the “Aloha Spirit”, a gesture of friendship and understanding between the various ethnic cultures that reside within Hawaii, and thus it does not have a direct semantic to literal translation. Aloha & welcome to The Shaka Shack – the home of authentic Hawaiian shave ice. 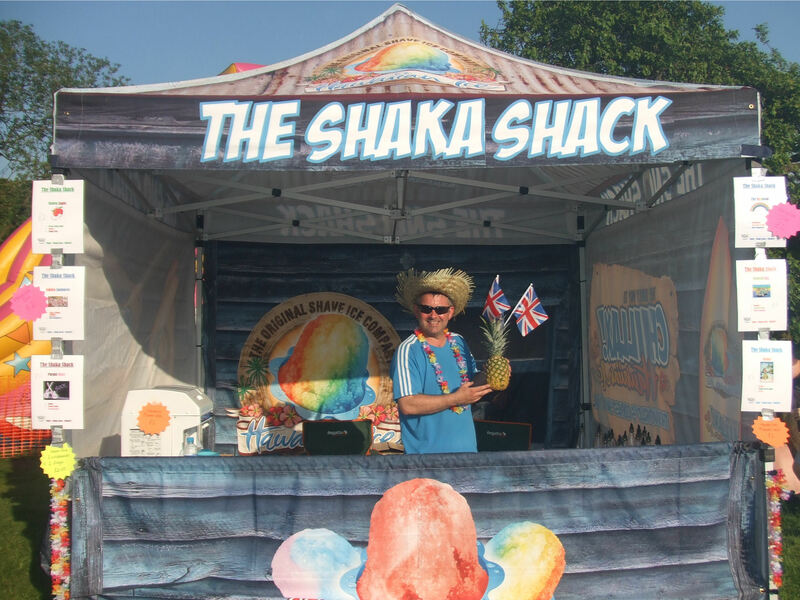 Based in the North of England, the Shaka Shack is bringing the taste of Hawaii to an event near you. Shave Ice is a delicious treat made by pouring fruit flavoured syrups over a cone of light, fluffy snow. We currently offer 18 fantastic flavours to choose from – pick one or mix and match to create your own unique taste sensation! To see our current flavour list please click here.